Welcome to Jagdamba Engineers and Consultancy. Manufacturer & Supplier of Material Handling Systems. The company was established in 2011 at Pune. Our State-of-the-art infrastructure and Transparency in dealing make us unique in the industry. Client centric approach, Customized Solutions and Economical prices are the plus points of our organization. Material Handling Systems, Cleaning and Pollution Control Equipments are some of our Products & Services. 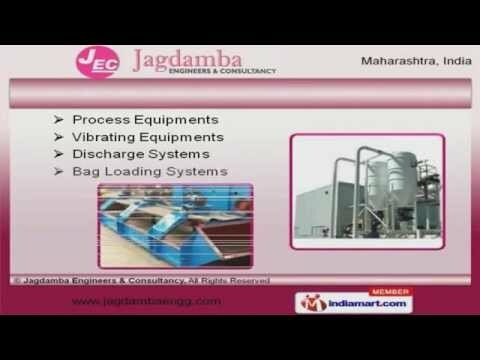 Our Process Equipments, Discharge and Bag Loading Systems are acknowledged for their functionality. We are specialized in manufacturing Industrial Valves, Filling and Weighing Systems. Industrial Silos, Dryers and Conveyors offered by us are superior in performance. Along with that we offer Heat Exchangers and Storage Tanks that are widely acclaimed in the market. We also provide Project Engineering Services and Consultancy that are a class apart.